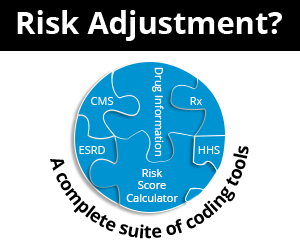 Evaluation and Management (E/M) codes are defined by the AMA Current Procedural Terminology (CPT®) codebook and while they are the most commonly utilized CPT codes, their code descriptions have not changed in years. However, while CPT® defines the three key components as History, Examination and Medical Decision Making for services billed based on documentation (and not time), CPT® does not explain how to meet the different levels within each of these three key components. Medicare recognizes the 1995 and 1997 Evaluation and Management Documentation Guidelines (DGs) as an official source on how to level the appropriate E/M code based on the provider's documentation. However, seasoned auditors will tell you that 1997 offers explicit guidance on how many and which elements of documentation are needed to meet the any of the four levels of an examination (Problem Focused, Expanded Problem-Focused, Detailed and Comprehensive), whereas the 1995 DGs were vague in explaining the requirements of a Detailed Exam. Exactly how much detail is needed to distinguish between a provider's EPF exam and a Detailed Exam? Most auditors rarely agree between these two exam levels when using 1995 DG since the assessment of a "detailed" examination is a subjective conclusion and typically based on the medical auditor's cumulative experience in reviewing documented exams from multiple medical specialties. National Government Services Medicare is the Part A and Part B MAC for Jurisdiction 6 (Illinois, Minnesota and Wisconsin) and Jurisdiction K (Connecticut, Maine, Massachusetts, New Hampshire, New York, Rhode Island and Vermont) and they've just released an updated E/M Audit Tool to clearly define how to score an EPF exam versus a Detailed Exam using 1995 DGs. This eliminates the NGS Medicare subjective auditing factor that had created gray areas for auditors: the previous NGS tool led to inconsistent audit results among medical auditors, and lacked clear definition and parameters needed in order to better educate healthcare providers on proper exam documentation and how it contributes to the overall E/M level billed. By establishing a point method in counting up the body areas and organ systems, all medical auditors should be able to agree on the level of exam met with the 1995 DGs so long as the auditors are well-versed in the clinical language that describes a visual observation, physical palpation or testing of a body area or organ system. The 1997 DGs offer key clinical language in the descriptions of the bullet points that can better assist an inexperienced medical auditor in understanding which documented words correlate to an examination of a particular body part or organ system.